Take a look at our review of Matchbook vs. Betfair to help choose the right one for you. Both bookies offer welcome bonuses, however Betfair's is more substantial and varied, allowing customers to choose from 3 options. 100% up to £100 bonus in the casino with the promo code. MBMAX code gives users the current welcome offer of £10 risk-free bet for the betting exchange. Over in the casino, you can get 100% up to £100 + 100 Wager Free Spins across a variety of games. Despite covering the major sports, like football, tennis and golf, the rest of Matchbook's markets were quite underwhelming, with only 15 markets on their sportsbook, compared to 34 on Betfair. Matchbook offered no markets that were unavailable on Betfair, and the latter offered a lot more betting options in the standard markets like cricket and football. Betfair, unlike Matchbook, also offer a range of special bets for each country. These markets range from upcoming national events to TV programme outcomes. While held back by the limitations of the site itself, Matchbook's app offers a far more user-friendly experience. Their mobile product is easy to use and quick to install, meaning you can easily track, and make bets on your Apple or Android product. Betfair's app was more awkward to use and lacked the in-app smoothness of Matchbook's option. Matchbook's offering on additional services was fairly weak. Aside from a rather uninspiring FAQ section with written info on sports, there was not much else. Their live lounge consisted only of a live update of scores. Betfair however offer a live HD streaming service for certain events. There is also the option to track your bets live with their betchecker. From our review of Matchbook vs. Betfair it seems as though there isn't much difficulty in choosing a clear winner. Betfair's huge range of markets, superior sign up bonus and in-play features makes it a better option for punters. It doesn't matter if you're an occasional better or an expert, Betfair is the best option. 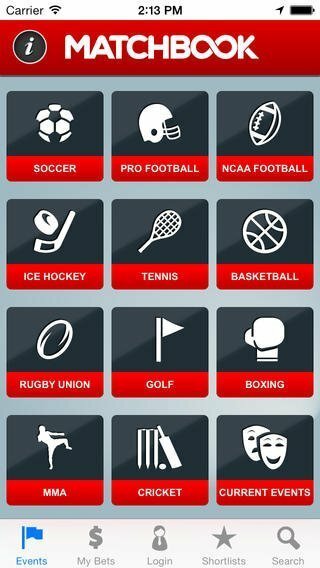 Their mobile app mean you can place and track your bets on the go as well. New users can click the button below to access a range of welcome packages.